For me Atal Bihari Vajpayee was not a BJP leader but a national leader and a prolific poet and writer. Vajpayee ji was born in Gwalior, Madhya Pradesh on 25th December 1924. 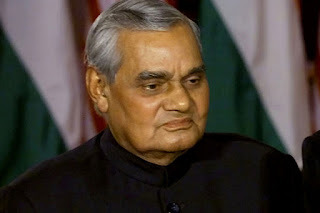 I am more connected to Atal ji is because of the fact that he spent some years of his academic journey in my city Kanpur. I was one of those who went to the BJP HQ to see his mortal remains and to offer my last respects.We all know about his political career from Balrampur to Lucknow, and I think I am not a political commentator to comment on his superb political journey. I can surely speak about his poetic journey and his personality which defined ATAL BIHARI VAJPAYEE. Atal Bihari Vajpayee was a multi-faceted genius — an outstanding parliamentarian, a successful prime minister, a poet, an orator par excellence, a true party karyakarta, a disciplined Swayamsevak, and above all, a gentle and lovable human being. He was an institution in himself. 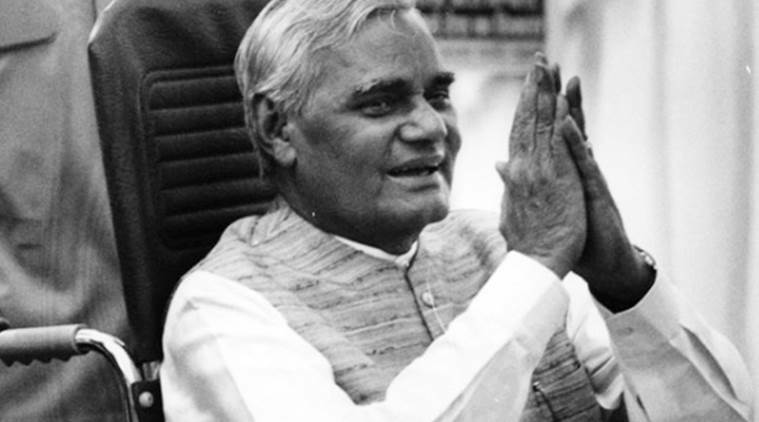 His personality was the same as his first name ‘Atal’ which means solid, strong and unmovable. By 1942, at the age of 16 years, Vajpayee became an active member of the Rashtriya Swayamsevak Sangh and participated in the Quit India Movement. Somewhere in 1951, Vajpayee and Shri Deendayal Upadhyaya were assigned to work for the newly formed Bharatiya Jana Sangh, which was a right-wing political party and it was and still somewhere is associated with the RSS. Vajpayee at that point of time was appointed as the National secretary and also in-charge of the Northern region which was based in Delhi. He came in contact of another leader Shyama Prasad Mukherjee and was influenced by him. 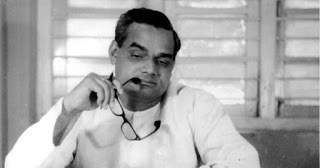 In the 1957 Indian general election, Vajpayee contested elections to the Lok Sabha, the lower house of Indian parliament. He lost to Raja Mahendra Pratap in Mathura, but was elected from Balrampur. In the Lok Sabha his oratorial skills so impressed Prime Minister Jawaharlal Nehru that he predicted that Vajpayee would someday become the Prime Minister of India. He was one of the finest orators we ever had in the Parliament, whether it was his refusal to carry on with a minority government or it was a critical reply to Sonia Gandhi, his speeches are still viral on the internet. In one of the articles by Hindustan Times I was reading that, The Americans remembered him describing the US and India as “natural allies”; the Chinese remembered his meetings with leaders of three generations – Mao Tse Sung, Deng Xiaoping and Hu Jintao. While the Pakistanis remembered the ‘Dosti Bus’ that Vajpayee rode to Lahore, the Bangladeshis remembered his contributions during the Liberation War and the subsequent presentation of the highest Bangladesh Liberation War Honour to him. Even the separatist Hurriyat leadership in Kashmir described him as a “rare leader with humanness”, and “with a sincerity to resolve the Kashmir problem’. A personality like Atal ji is rare and I do not see a leader like him in the present generation of politicians. He never believed in the difference between victory and defeat. For him, victory and defeat are just part of life and both must be seen as equals. Vajpayee practised humility and honesty as his quintessential personal self. In one poem, he prays to god: “Hey Prabhu! Mujhe itna unchai bhi mat dena, ki auron ko chu na sakun” – meaning, ‘Oh God! Please don’t let me attain such heights that I won’t be in the reach of the others’. Can you imagine a leader with such a personality; I think another leader like him was Dr.APJ Abdul Kalam. 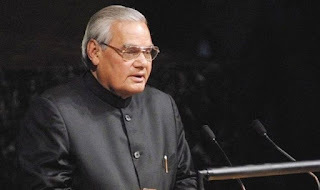 Whether in power or in opposition, both sides of the house loved and respected Atal Bihari Vajpayee, he was a statesman and a politician without any political enemy. He was known as ‘Ajathshatru’ – ‘one with no enemies’. Every party and political leader perceives him a father figure in politics and respected him and his opinions. Vajpayee could successfully run a 23-party coalition for full five years precisely because of this humility. It was his skill, his ability of connecting people and being a true leader. I remember, during Atal Ji’s ‘antim-yatra’, there were slogans like ‘Hamara Neta Kaisa Ho, Atal Bihari Jaisa Ho’ and ‘Jab Tak Suraj Chand Rahega, Atal tumhara naam rahega’. There were no bhakts of BJP but there were followers of Atal Ji. He was a person with strong personality and the younger generation of leaders must learn from his personality and poems. He was a person who didn't belong to a single party but to this nation.